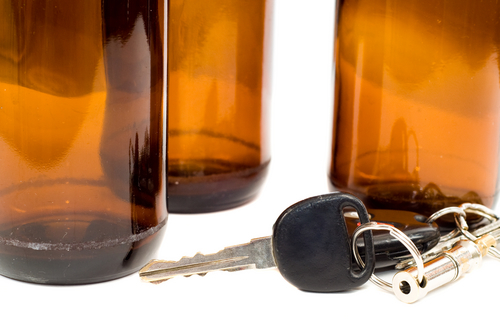 > Blogs > DUI > DUI Defense > Will I Lose My License for a DUI? Whether you are able to retain your driving privileges and license after a DUI arrest will depend on the circumstances of your arrest, what you do following the DUI arrest, and the outcome of your case. They refused BAC testing during their DUI stop – BAC test refusals in DUI stops in Colorado violate the Express Consent law (also referred to as the Implied Consent law), which specifically requires motorists to submit to chemical testing when there is probable cause for a law enforcement official to suspect driver impairment.The penalty for violating this law is an automatic driver’s license suspension, with the duration of this suspension being one year for a first refusal, two years for a second refusal, three years for a third refusal, etc. They failed to request an administrative hearing with the DMV after the DUI arrest – A DUI arrest in Colorado will trigger two cases against a driver, the administrative DMV case and the court case. The DMV case, which relates to driving privileges, will simply involve one hearing, which drivers must request within 7 days of their arrest.If motorists fail to request this hearing for whatever reason (including because they weren’t aware they needed to make this request), their driving privileges will be automatically suspended (with the term of the suspension depending on the facts of the case, as well as their criminal record/whether they have prior driving infractions). The outcome of the DMV DUI hearing is in favor of law enforcement – Even if drivers request a DMV hearing to try to retain their driving privileges, there is still no guarantee that they will get to keep their licenses.That’s because a DMV official, overseeing the hearing and reviewing the facts of the case, will make the final determination regarding whether a driver accused of drunk driving will be allowed to continue driving as the criminal case proceeds. If the ultimate finding is in favor of law enforcement, then again, drivers can lose their licenses. The DUI case ends in a conviction – The final point during a DUI case when drivers may be subject to license suspensions is at the outcome of the criminal case and, in particular, if the DUI case ends in a conviction (even if that is the result of a plea deal).If a driver is found guilty of impaired driving in Colorado, the judge can impose a driver’s license suspension (as well as other penalties like hefty fines, incarceration, alcohol treatment, etc.). Driving on a suspended license following a DUI can cause more legal problems – Not only can it result in a violation of DUI probation (as not driving can be a term of DUI probation in Colorado), it can also trigger additional criminal charges being filed against a motorist. There may be ways to get drivers’ licenses reinstated earlier – In certain situations, drivers may be able to get their driving privileges back sooner (than the term of the imposed suspension) by having an ignition interlock device (IID) installed on their vehicle(s). If you or a loved one has been charged with a DUI, you can turn to the Denver DUI lawyer at Griffin Law Firm for experienced help and the best possible defense. With more than 18 years’ experience in the criminal justice system, our attorney understands the complexities of the system, the challenges different defendants can face and the best ways of overcoming these challenges to bring criminal cases to successful resolutions.